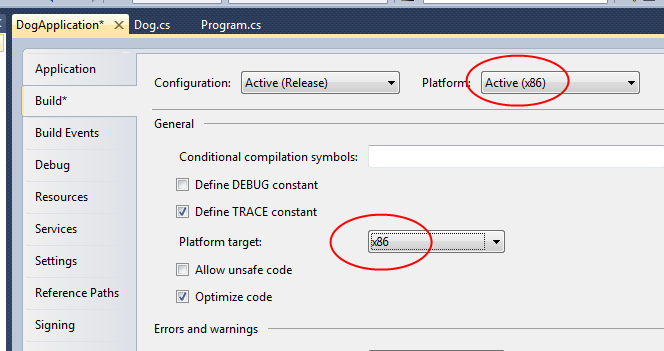 Build Configurations allow you to build the project in different ways, depending on the configuration selected (e.g. Debug and Release). In a similar way, Build Platforms allow you to target different hardware platforms, saving a different set of project properties for each platform. The predefined Build Platform choices represent different hardware platforms that you might want to build your project for. Each choice indicates the platform that the application is intended to run on. You can actually specify various project properties for any combination of Build Configuration and Build Platform. But the Build Platform typically dictates the value of the Platform target choice on the Build tab of the Project Properties window.